A discourse that in fact reaffirms the status quo and sixty thousand deaths that since 15 March 2011 (to January 2013, tr. note) have plunged Syria into a bloodbath: Bashar al-Assad and the Organisation of the United Nations have indicated the salient points of the current situation in the country. The former, speaking from the House of Culture in Damascus in front of his supporters, proposed a three-stage plan that substantially eliminates the revolutionary forces, labelled as “Western puppets” and the latter, in recent days, has published a series of disturbing numbers. From July to now, in correspondence with the increase of the military offensive, the dead are calculated at about 5 thousand per month, mostly civilians (approximately 76 percent). But this is only partial data: right from the title of the report the word is in fact of Preliminary Statistical Analysis of Documentation of Killings in Syria. “This figure is far higher than we expected. And it’s really shocking,” said the High Commissioner for Human Rights Navi Pillay. Also higher than the 45 thousand victims counted so far by groups linked to the opposition. “The only way to achieve an immediate cessation of violence is a negotiated political solution that responds to the legitimate aspirations of the Syrian people.” Thus was the conclusion of the updating of the Syrian situation relative to September and December, 2012, probably simplifying the complexity of the current situation on the ground. 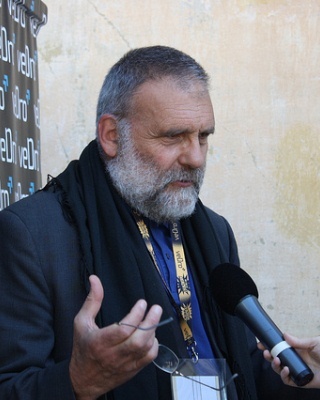 The person who knows the Syrian context, in its areas of light and shadow, is no doubt someone like Father Paolo Dall’Oglio, who has lived in the country for over thirty years. Founder of the monastic community of Deir Mar Musa, in the desert north of Damascus, Father Paolo has always been engaged in interfaith dialogue with the Islamic world and until last June, before being forced to leave by the regime, has spoken about the tragedy that he has witnessed daily in first person accounts. The new UN report has just been released where a denouncement is made of 60 thousand deaths since the beginning of the conflict. I cannot make an assessment of the number of deaths on a technical basis because it’s not my task to do that, and I note that often revolutionary movements tend to drive up the numbers for propaganda purposes. But the UN, bringing together different reasonably credible sources has arrived at an even greater number (15 thousand more compared to the 45 thousand already reported, ed. note). This does not surprise me, but I am afraid that once the dust has settled, when you can make a more accurate count, the numbers will be even higher. You cannot perpetrate months and months of aerial bombardments on civilian populations imagining to get balances of victims that look like surgical operations, which are also more than questionable on moral grounds. In Syria there is no action to hit the Resistance leaders but to kill the Syrians, en masse. The moral code of the Assad regime is one is with Assad or there will be destruction of the country. How do you explain the substantial absence and delay of the international community on Syria? Once defined by the regime, and by its friends, the “Islamist threat” in Syria, the international community has self-legitimised its maintaining a position of stalling and waiting: there will be no democracy in Syria, then there is no reason to take steps to activate for democracy of the Syrians. We are faced with a paradox, this position of wait-and-see has created the conditions for the expansion of radical Islamism. The revolution, as a whole, has condemned the first actions of these groups as conspiracy actions conducted by the Syrian state. I never succumbed to this temptation, but remote-controlled manipulation is nothing new in the Syrian panorama, and there have been regime manipulations of extremist cells. Without simplifying, I say that the activity of Islamic extremism was part of the regime’s postulate since the very beginning, where they claimed the revolution was terrorism paid for by foreigners, then when this area branched, complex and effective, it has been able to take the initiative and the head of the revolution in military terms, these groups have provoked in the international community a self-justification to refrain from action. There was an incredible miscalculation and these same groups have exploded in the hands of the regime. In the report of the UN Commission of Inquiry on Syria, it is said that, given the situation on the ground, a military solution to the conflict is now impossible, and that it is instead desirable to begin negotiations. But at this moment a negotiated solution seems impractical. The regime wants negotiations to the extent that it needs more time to continue the systematic destruction of Syria and thus enter into the third phase and try to take the country back in its own hands. I was expecting that the regime in Damascus would work to divide the country on the line of the Orontes, once acknowledged the fact of not being able to maintain control over everything. Faced with a general revolution the only thing possible would be a Syrian Kosovo, hedging their bets on Alawite solidarity and other minorities living in that area, such as, in fact, the Christians; this is a solution accepted by Iran (Shiite, ed. note) as a lesser evil. This has not happened so far and in revolutionary circles it is said that it cannot happen because the rebels have so deeply penetrated even in that area that the regime would no longer be able to have such a division. Why had it not chosen the way of secession as long as it was possible? I can give you two reasons. One is psychological. Bashar al-Assad has always said I am a man of Damascus and not of the Alawite mountains. His cultural and mental space is all of Syria. In this sense, paradoxically, Assad would be a “non-sectarian”. He uses his sect for his power, but a power that if it is not of the whole of Syria, it does not interest him. We see this as a disconnect between his own idea of ​​himself and reality. The other hypothesis assumes that the regime is a complex matter, divided between Ba’ath ideology, which is obviously not for secession, and the logic of the Alawite family. These two souls have been separated in time but not enough to contemplate the geographical dislocation of the country. You have spoken of the need to begin to govern at least the liberated zones. I have written in Arabic just two days ago, on Facebook, asking the head of the coalition to immediately set up in the liberated territories the sole government of transition. It is an operation that should be done immediately because it would eliminate the impression that the Syrian revolution is now entirely in the hands of Muslim extremists who are subversive and clandestine and they can begin to restore the country to the Syrians. On the ground there are practical problems such as lack of water, electricity, labour, wages. Do you believe it is still too early to talk about the future of the minorities? It is not early, in fact you have to talk about it now, but it is very difficult to see the future because of the omission of international relief. There is hope that the revolution as a whole may have a capacity of self-discipline that allows them to form that unity of the country in the reconciliation desired by everyone in the democratic revolution in Syria. Only some extremist military groups seem to threaten the destiny of minorities, even if they have never attacked Christians as such. In recent days, however, there was a complaint by Mother Agnes Mariam (Carmelite and superior of the Deir Mar Yocoub monastery of Qara, known to be very critical of the rebels, ed. note) in this regard. Mother Agnes knows how to dose the words and she is only, I repeat and I emphasise, the (able) clerical expression of the deceitful manipulation action of the Syrian regime. Mother Agnes is a self-proclaimed leader of a movement that does not exist on the ground, Musalaha (Reconciliation, ed note), and it is a real problem because for her interpretation of the facts is always selective and one-sided: that the revolution is terrorism! How do you see a possible Syria after Assad and after nearly two years of war? I believe that the profound nature of democratic Syria will be a laboratory of civil evolution and policy making of the Islamist Arab area of great interest. Syria has a cultural dignity of Islam that is different from that of the Gulf. This is my vow, my hope and also the space of my commitment. At the end of January I will participate in the commission of the Syrian revolution that deals with preventing the massacres in the moment of victory and I hope, in February, to be able to re-enter the country. Syria cannot win the revolution leaving a hundred thousand Alawites deaths in its wake. We must find a way, even ideological and theological, to say that there will be no revenge against the Alawites and that all criminals will be judged with fairness. AN ITALIAN Jesuit expelled from Syria in June due to his outspoken criticism of government violence has accused a controversial nun who visited Ireland last week of peddling “regime lies” about the crisis there. During her four-day visit to Ireland last week, Mother Agnes Mariam, who is superior at the Melkite Greek Catholic monastery in Syria, gave media interviews in which she claimed Christians in Syria were facing “extinction” and that rebels battling Assad were predominantly foreigners linked with al-Qaeda. Fr Dall’Oglio, who has spent time with opposition activists in several restive parts of Syria, said these claims were “ridiculous” and constituted regime propaganda. “I have been there, I know the people, including the youth, who are working for the revolution, and I know that what she is saying is insane. It corresponds with the regime version of the facts,” he said. Mother Agnes Mariam, who visited Dublin and Belfast, had separate meetings with representatives of the Irish Bishops Conference justice and peace committee, Sinn Féin TD Seán Crowe, Nobel peace laureate Mairead Corrigan Maguire, and an official from the Department of Foreign Affairs. One of her interlocutors here was taken aback when the nun claimed during their meeting that the Houla massacre, in which more than 100 civilians, more than half of them children, were killed, was an elaborate hoax concocted by rebels. This week a UN commission of inquiry concluded that Syrian government forces and the pro-Assad militia known as shabiha were responsible for the massacre. In March, Mother Agnes Mariam was accused of running a “misinformation campaign” by a US-based Syrian opposition group called Syrian Christians for Democracy. It said she maintains “close ties” to the Assad family and alleged she had fed selected visiting journalists “distorted facts and fake testimonies for the sole purpose of tarnishing the opposition’s image”. The group referred to the role of a number of Christians in the Syrian uprising. Mother Agnes Mariam’s trip to Ireland was organised by Alan Lonergan, who acts as churches liaison officer with Sadaka, an Irish pro-Palestinian advocacy group, though he arranged the visit in a personal capacity. Large scale massacres against civilian populations have been committed by government military forces and pro-regime militias in Syria. Those invited to speak about this immense tragedy should be examined carefully as to their position in support of the forces behind the massacres. It is unethical to give a platform to persons who support these massacres or facilitate them by spreading information that has been proven again and again to be misleading, false, and in many cases pure propaganda of the regime perpetrating the crimes. It would be completely unconscionable for a religious or spiritual organization to put their facilities at the disposal of such persons. We fully respect the principle of debate and freedom of expression, but in this case the person you have invited expresses blind support for a dictator who has massacred and is still massacring his own population, including over 11,000 children. The only reason for this violence is the regime’s intention to crush any and all people who stand up for their human rights and who they deem to be a threat to their tyrannical rule. The regime has killed countless numbers of people for trying to exercise their right to free expression. It is clearly evident that the uprising in Syria started peacefully, and was not militarized. Nor was it based on religious intolerance or sectarianism. It began with non-violent protests demanding reforms and basic freedoms that they had been denied for far too long. These protests were met with extreme violence and repression, and in order to justify that, a machine of propaganda was put in place, disseminating lies, passing off hoaxes as fact, and claiming that minorities in Syria were under threat of harm from religious extremists. The speaker you have invited is one of the key players in this propaganda machine, many of her claims have been debunked by experts and witnesses, while the voices of those murdered by the regime have been silenced once and for all. The peaceful nature of the protests that your guest attempts to depict as a violent insurgency against Syria’s minorities has been recognised by the European Union, the United States and the United Nations. The crimes against humanity committed by Assad have also been recognised by these entities, as well as by Amnesty International and Human Rights Watch. People in Syria only took up arms against the regime when the killing had reached such a scale that they were forced to defend themselves and their families militarily. We are astonished that you have made your venue available to supporters of a murderous dictatorship. What is happening in Syria is in the public domain and cannot be ignored. Support for this project may amount to complicity in crimes against humanity. This is not just a legal issue but also a moral one. It is extremely ironic that the photo used by the organisation promoting the event depicts damage in Syria caused by airstrikes. It is common knowledge that ONLY the regime possesses air power and the capacity to bomb cities and residential areas in this way. The use of the image in this way is further evidence of the bad faith of the organisers of this event. We request that you cancel this event immediately and we would like to suggest that you organise a new event that will present what is happening in Syria in a truthful and objective way. We thank you for your solidarity with the people of Syria. 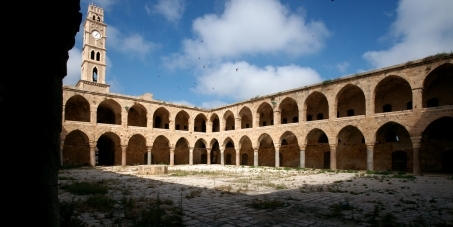 Khan Al-Umdan was built in 1874 and is one of the largest and best preserved Khans in Palestine. It sits in the centre of the coastal city of Akka which is a UNESCO World Heritage Centre designated as such in 2001. The proposals by the Israel Land Authority (ILA) and the Israel Ministry of Tourism to issue a commercial tender to convert Khan Al-Umdan into a 200 room luxury hotel (under the guise of maintaining and conserving the site) is but a slap in the face of heritage conservation in Akka. The call for Tenders was dated 7 October, 2013 and the deadline for submission of all commercial bids is 6 January 2014. Khan Al-Umdan must be maintained, preserved and left untouched by greedy commercial development plans. We call upon all responsible people and conservationists to raise their voice and to demand a stop to this land grab. Her eyes are green, they are not deep, but they sparkle. They say that suffering becomes light in the eyes of those who have tried it, I’ve just seen proof of that. But his was that innocent kind of questioning that is the sweetest thing that exists in the world. I learned in a week of life more than I have 3 years. You don’t learn about history by reading what’s in the newspapers, but in the eyes of the people, they have the power of incinerating paper. I stroked her fragile legs, I forced a hug, I placed a sweater over her shoulders. I gave her a chocolate but she did not close her fist and it fell to the ground. I asked her to choose a toy but with a chilling stare, her mouth dirty or maybe even wounded, in short, crusted, she looked beyond. “Are you hungry little one?” She did not answer. “Are you cold?” She did not answer. “Are you afraid?” She lowered her gaze. Can I die of fright in her place? This sounds terribly selfish I know, but I need those refugees more than they need me. I depend on them much more than they depend on me. There are those who wonder how you fall asleep without love, tonight I ask myself only how fall asleep in a station. Certain phrases on the walls touch my soul. An elderly woman with a scarred face. I do not know why, I just know that I look at you and I think that the more valuable a vase is, the more noticeable its scars will be. Slender, a back broken from 120 days of travel, 2 children in tow. It makes me think of bamboo plants, incredibly thin trunks that are able to be tall and resilient, it leaves an impression on me. A “shukran” uttered by you has the power of reconciling myself with the world. They arrived at their destination, refugees do not put limits on Divine Providence. My mother has never had to scold me or spank me, she would tell me something was not to be done and I did not do it. But these myopic laws…no, you cannot respect them. Mine is not an invitation to disorder but a call to demand those rights that even we one day might need. I prayed so that my mother would not die, she is not sick , she’s fine alhamdulillah. Then I cried silently for such a sad prayer. Nomen Omen, what the ancients said in Latin; your name is an omen, your destiny. I’ll reveal a work that combines mysticism and action: helping others. I was clamping my hands over my ears until they began to hurt. It’s a lie, an atrocious lie. But with what courage can I say that to those who have lost everything in war? It took only a little to give me euphoria and just as little to make me sad, a goodbye. When you talk of fingerprints I seem to see you running with ankle weights. 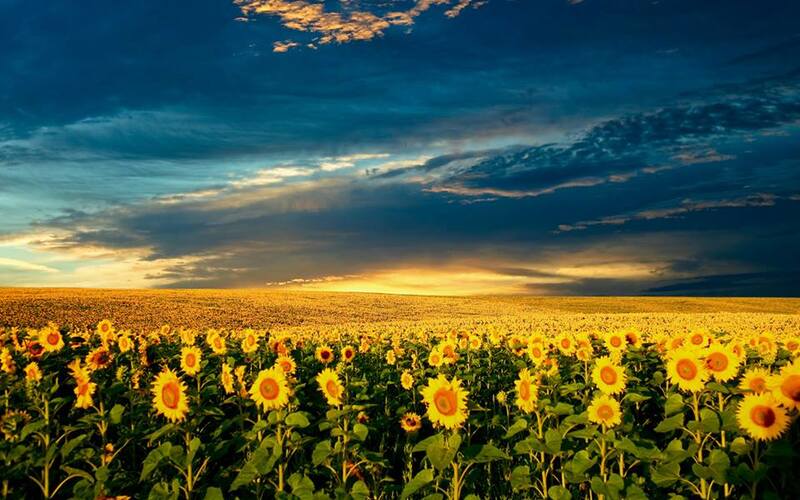 When you talk of Sweden you seem like a sunflower that stands proud and tries to get close to the sun. Some of the hundreds of civilian victims of the Sarin Nerve Gas massacre in Ghouta. Gassed in their beds by the Syrian regime. Ever since the Syrian regime gassed its own citizens in the Damascus suburbs in a chemical attack on August 21, the issue has rarely been out of the Western news media. However, the debate has been very simplistic. Any observer would be forgiven for thinking that the only crime committed in Syria was this chemical attack, and that the Syrian people had not been subjected to a genocidal war at the hands of a ruthless sectarian dictatorship for two and a half years. Of course, the original cause of the conflict has been largely forgotten. Outside Syria, not many people remember the peaceful protests calling for freedom and democracy that began the Syrian revolution in March 2011, and how those protests were met by the Assad regime, with unarmed protesters being slaughtered in the streets and children who wrote slogans on walls or took part in the protests tortured, on many occasions to death, in the regime’s jails. It was only after many long months of killing and oppression that defecting soldiers from the regime’s army formed the Free Syrian Army, to defend peaceful protesters as well as ordinary citizens from government attacks. An observer of the debate would also be forgiven for thinking that the countries of the world are divided on Syria. The received wisdom on the Syrian conflict is that the United States, its allies in NATO and the Gulf States are offering support to the rebels while Russia, China, Iran and the Lebanese Hezbollah are supporting the regime. Bashar Al-Assad’s regime likes to paint itself as part of an “axis of resistance” against US and Israeli imperialism which includes Iran and Hezbollah and is supported by Russia; this is why it has gained support from the anti-imperialist left in Western countries. A closer look at the support the regime is receiving vis-a-vis the “support” the rebels are receiving from their supposed allies shows that there is in fact little difference between the major powers on the Syrian issue. Russian ships carrying weapons, including aircraft, dock regularly in Latakia and Tartus, ensuring that the regime remains armed to the teeth and able to fight on despite the military setbacks inflicted on it by the rebels. Iran has not only sent weapons to the regime but also troops and advisers. It is believed widely in Syria that these advisers are the real rulers of the country. Hezbollah was instrumental in the regime’s ruthless bombardment and capture of Qusair, and its fighters now line up alongside the regime in Deraa and Aleppo. On the other hand, the United States and the European countries have given rhetorical support to the Syrian opposition while making sure that the Free Syrian Army remains unable to defeat the government’s forces by imposing a strict arms embargo. For example, last year the Free Syrian Army managed to acquire anti-aircraft weapons but the United States and NATO refused to allow them to be transported to Syria and they remained in storage in Turkey. In June this year, following a regime chemical attack on the town of Saraqeb, the Obama administration announced that it would arm the Syrian rebels. To-date they have not received a single bullet from the United States or from any of its European allies. The FSA’s main source of weapons remains those captured from the regime or those sold to it by corrupt regime officers. It is thought that Gulf countries have supplied weapons but not on a scale that would tip the balance of the conflict. The main factor ensuring that the conflict and genocide continue, and the Assad regime stays in power, is the continuing embargo on weapons to the Free Syrian Army, which lacks the heavy weapons needed to defeat the state’s armed forces. In order to understand the position of the United States and its European allies, it is helpful to look at the statements of Israeli officials. While the main pro-Israel lobby group in the United States, AIPAC, publicly declared its support for strikes against the Syrian regime following the most recent chemical weapons attack, it is much more evident that Israel would in fact prefer Bashar Al-Assad to remain in power. The Wall Street Journal reported recently that Israeli Prime Minister Benjamin Netanyahu urged US Secretary of State Kerry to reach a deal with Russia that would avoid a military strike on Syria, expressing fears that a US strike would strengthen the Syrian opposition and allow it to gain control of Assad’s chemical weapons. Netanyahu’s office later issued a denial that any such exchange took place. Israel’s attitude to the Syrian conflict allows us to consider the developments that have taken place since the chemical attack in a new light. After President Obama announced that the US would strike Syria, anti-war activists and left-wing “anti-imperialists” were up in arms, as were right-wing pro-Israel Republicans in the United States. There was much comment that the rebels fighting against Assad were sectarian extremists with links to Al-Qaeda, who posed a threat to Syria’s minorities, especially its Christian community, and that they were just as brutal as Assad. Conspiracy theories without any evidence which blamed the rebels for the sarin attack received mainstream coverage and were used to argue that the US and its allies were being dragged into an Iraq-style war. Sadly for the conspiracy theorists, the evidence that the Syrian regime carried out the attack is incontrovertible. The United Nations report on the attack published on Tuesday, which does not assign blame, nevertheless concludes that it was launched from Mount Qassioun, a major government military base outside Damascus from which attacks against the Damascus suburbs are launched regularly. The report also concluded that the attack was launched using M14 rockets, which only the regime possesses, and that the sarin used was of a quality that could only be produced on an industrial scale using the resources of a government. The Assad regime’s own reaction to the attack points to its responsibility, and to its sectarian character. First, it denied that any such attack took place; then it conceded that the attack happened but blamed the rebels; then a few days later the world was treated to the bizarre spectacle of Syrian government spokeswoman Buthaina Shaaban appearing on Sky News to claim that the child victims of the attack were in fact brought to the Ghouta area from Latakia province (an Alawite-majority area 300 miles away) by “terrorists” and then killed. The government did not declare any period of mourning for the 1,429 victims of the attack and, in fact, its supporters were seen celebrating and handing out sweets on the streets of Damascus in its immediate aftermath. The anti-war activists and their new-found allies the Assad supporters and right-wing Republicans need not have worried. Despite a great deal of emotional language from John Kerry about the use of chemical weapons and the 426 children who died as a result, Obama’s strike threat dwindled away to nothing. From being a “limited” attack to punish Assad, but not tip the balance in favour of the rebels, it became an “unbelievably small” one, as Kerry called it on his visit to London, to a non-existent one, when Kerry and Russian Foreign Minister Lavrov agreed to a deal which would allow Assad to keep his conventional weapons and continue using them to kill his own people, but oblige him to give up his chemical weapons. It is doubtful whether the deal will be backed by a binding Security Council resolution, and it is estimated that it will take until the middle of 2014 to destroy the chemical weapons. This is probably the first time in history that a criminal is to be punished simply by taking away one of his weapons. The deal struck between Kerry and Lavrov makes almost everyone a winner. The United States can continue posing as a supporter of the Syrian people; Israel is satisfied that “their man in Damascus” is still in place; Russia can continue arming Assad and today appears to have stood up to the United States, when in reality there is little difference between the positions of these two nations on the Syrian issue; and Iran can continue to participate actively in Assad’s sectarian war while pretending that it is standing up to the United States and Israel. The anti-war campaigners are in ignorant bliss because they believe that they have stopped a war on Syria, not knowing or caring that Syrians are still enduring the most horrific war since the genocide in Rwanda. The only losers are the Syrian people. For two and a half years, they have been pleading with the world to stop Assad’s war against them but to no avail. The chemical attack is only the latest chapter in this genocide. Constant efforts have been made in both the mainstream and alternative media to belittle the suffering in Syria, discredit the casualty figures and assign blame to the opposition for the regime’s crimes but what is happening is genocide by any standard. United Nations figures reveal that 110,000 people have been killed since the Syrian revolution broke out in March 2011. Seven million people have been displaced and the death rate is approximately 5,000 people per month. Only the regime has the capacity to kill and displace people on this scale and it has now received a green light to continue killing its own citizens, as long as it doesn’t use chemical weapons. The suffering and the genocide of the Syrian people will be detailed in the part 2 of this article. The anti-war movement in the West got what it wanted: the war in Syria grinds on without the involvement of the only force capable of ending the bloody stalemate, the U.S. military. The anti-war movement in the West accomplished what it set out to do: American F-16s remained grounded while the Assad regime’s MiGs returned to the skies to bomb hospitals for the first time since Bashar al-Assad crossed President Obama’s “red line” on August 21. The anti-war movement in the West succeeded: the big guns aboard America’s battleships parked off the Syrian coast remained silent as the regime’s big guns opened fire once more on defenseless civilian neighborhoods. The anti-war movement in the West won a great victory: while the war-making regime in Damascus enjoys the unlimited and unconditional financial, military, and diplomatic support of Iran and Russia, the popular uprising still stands alone as the red-headed stepchild of the Arab Spring, without a steady source for the heavy weapons it needs to survive. These are the bloody real-world consequences of this so-called anti-war movement’s triumph in the West. This movement that arose on the basis of Sarah Palin-style concern for Syrian lives – “so we’re bombing Syria because Syria is bombing Syria?” – is nowhere to be found now that the regime’s savage campaign to end their lives has resumed in earnest. This movement that was so worried about the fate of innocent Syrians in the face of American bombs has not uttered a single word, not called a single Congressman, nor organized a single demonstration to demand the Obama administration send Syrians gas masks, something the administration has steadfastly refused to do despite its talk about basic human decency and the sanctity of children’s lives. Thus, the administration and its anti-war critics are united as one in treating Syrian lives as fodder for their political agendas, as a rhetorical device in finely-worded speeches about high-minded principles and universal ethics. Leading figures of this movement like Rania Masri (who should know better because of her workaround Israel-Palestine) continually draw a false equivalence between the infrequent atrocities committed by a poorly armed, untrained, undisciplined, disorganized rag-tag opposition desperate to save themselves and their families from an oppressive dictatorial regime that uses sarin, tanks, jets, scud missiles, and artillery against them daily. Imagine blaming “both sides” for the carnage of the 1943 Warsaw ghetto uprising and you get an idea of how monstrous this is. What is worse than this “anti-war” movement’s highly selective faux outrage over the plight of the Syrian people are the bald-faced lies it continually spreads to substantiate its position. In the run up to the 2003 Iraq war, the anti-war movement fought the Bush administration’s lies with pure, unadulterated truth. Former U.N. weapons inspector Scott Ritter declared that Saddam Hussein’s weapons of mass destruction had been destroyed by the U.N. in the 1990s and pointed out that Iraq was a basket case militarily thanks to a decade of crippling U.N. sanctions. For his trouble, Ritter was shut out of the halls of power as lawmakers in Washington, D.C. authorized President Bush to disarm a disarmed Iraq by invading and forcibly occupying it. In the run up to the 2013 Syria war that wasn’t, the anti-war movement fought the Obama administration’s truths with pure, unadulterated lies. Antiwar.com founder Justin Raimando saidthe Assad regime’s sarin gas attack in Ghouta on August 21 was a “hoax” and referred to it sarcastically as a massacre – in quotation marks. 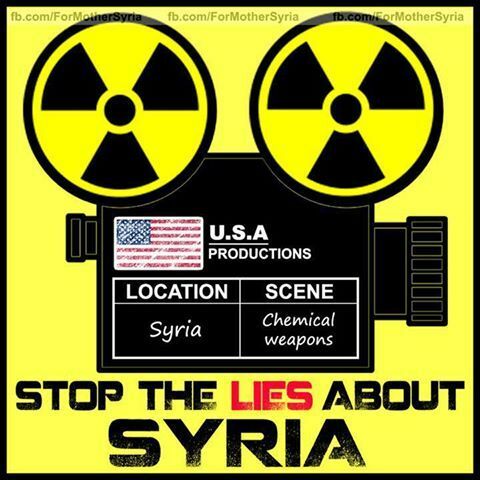 Retired CIA officer Ray McGovern and his Veteran Intelligence Professionals for Sanity (VIPS) claimed that the Ghouta gassacre was a false-flag attack staged by the opposition in a bogus, unsourced Curveball-style “report” that VIPS plagiarized from Global Research, a conspiracy theory website founded by a man withdirect ties to the Assad dynasty. “Bush lied, people died” is what the anti-war movement said when the Downing Street memo revealed that the Bush administration fixed the facts and the intelligence around their policy of regime change in Iraq. This time, the movement lied, Syrians died as anti-war activists went into overdrive to spin the facts and intelligence coming out of Syria in 2013 to fit the Iraq template of 2003. U.S. politician Dennis Kucinich even recapitulated in his own way Donald Rumsfeld’s infamous handshake with the Butcher of Baghdad as he was gassing Kurds and Iranians by having friendly sit down with Bashar al-Assad in the middle of his killing fields. The movement to stop U.S. military action failed in 2003 and succeeded in 2013. In both cases, the result was needless bloodshed and brutality borne by people far from our shores.